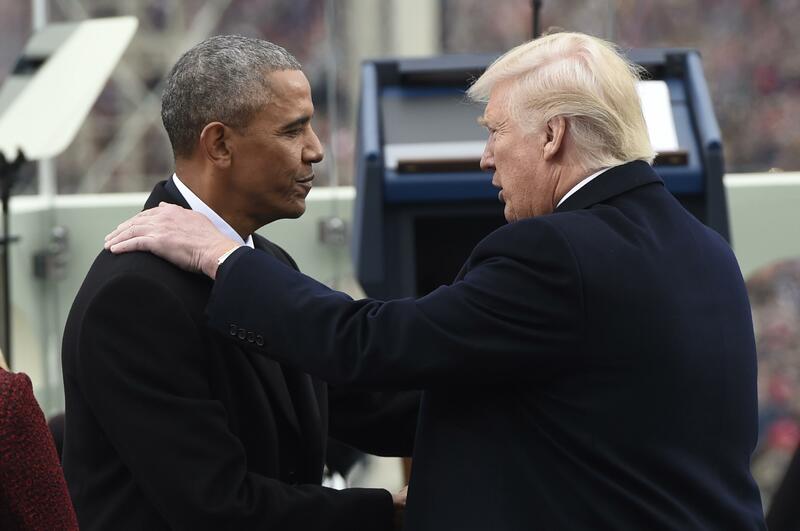 President Donald Trump said he believes that predecessor Barack Obama is riling up protesters against his administration and that Obama’s “people” may be the source of unflattering national-security leaks to the media. “I think he is behind it. I also think it is politics, that’s the way it is,” Trump said of the protests during an interview with the hosts of “Fox and Friends” conducted Monday at the White House and aired Tuesday. Trump didn’t offer any evidence of Obama’s direct involvement. Obama’s Organizing for Action, the nonprofit group that was formed after his 2012 campaign, is one of the many organizations supporting protesters who are challenging the new president and congressional Republicans. The organization paused its activities during the 2016 race. When it comes to rooting out leaks, Trump said he would have taken a different approach than his White House press secretary, who, according to Politico, held a meeting in which staff members were asked to provide their phones to be checked for evidence of leaking. CNN reported earlier that Trump signed off on Spicer’s phone check, citing unnamed sources. Spicer denied that Trump was involved in the decision. Trump was asked to grade himself on his first month in office and was uncharacteristically critical of himself of one front. “In terms of messaging, I would give myself a C or a C-plus,” he said, citing his prioritization of dangerous undocumented immigrants for deportation as one example of something his administration hasn’t communicated well. Trump was the recipient of rare public criticism of a sitting president by a predecessor this week – from Republican George W. Bush. Published: Feb. 28, 2017, 7:33 a.m.